The Global Research fundraiser is underway. Thank you for your continued support during this critical period. If you would like to make a contribution, please click here. In light of recent events and the tragic loss of life, the mainstream press has carefully avoided acknowledging the fact that the Islamic State (ISIS) is supported and financed by several of France’s closest allies. President Francois Hollande asserts that France faces the threat of war from abroad, whereas the media presents Syria as merely facing a “protest movement”. This media spin serves to build a consensus for Obama’s “war on terrorism,” which includes dropping bombs on civilians rather than terrorists. 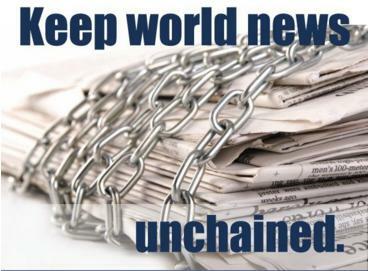 Global Research is committed to countering media propaganda by offering you perspectives on current affairs free from the chains of political or military agenda. Our 2015 campaign drive is all about ensuring that we’ll be able to continue providing this essential focus in years to come. Keep your news uncensored by giving what you can, as often as you can. And don’t forget to check out our online bookstore!